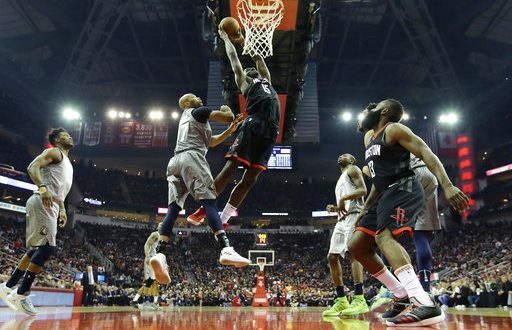 The Houston Rockets opened the first round of the NBA playoffs with a dramatic 104-101 victory over the Minnesota Timberwolves at home. James Harden had a marvelous performance, in which he scored 44 points, made eight assists and grabbed four rebounds. In a historic year for the Rockets, Houston arrived to the first game of this series under a lot of pressure. Houston won 65 games for the first time in franchise history and had the best record during the regular season. So the expectations are high for this team. 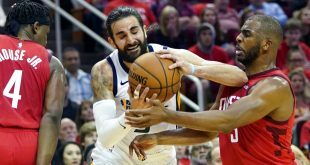 Mike D’Antoni found the click to create a well-oiled machine characterized by its high efficiency in iso-ball and three-point game. 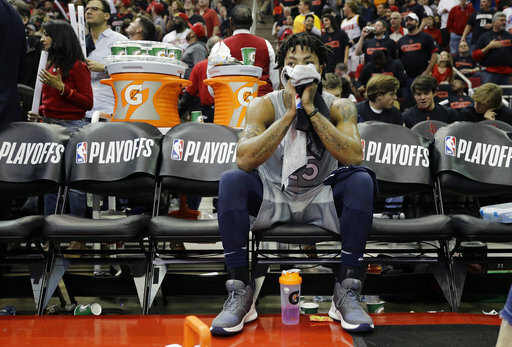 Meanwhile, the Timberwolves qualified for the playoffs after beating the Denver Nuggets in the last game of the regular season. Minnesota has had a rollercoaster season in terms of health. 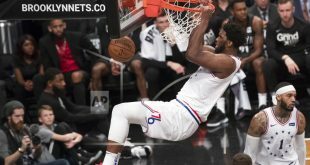 The team was in danger of not qualifying after Jimmy Butler missed most of the second half of the season due to a knee injury. 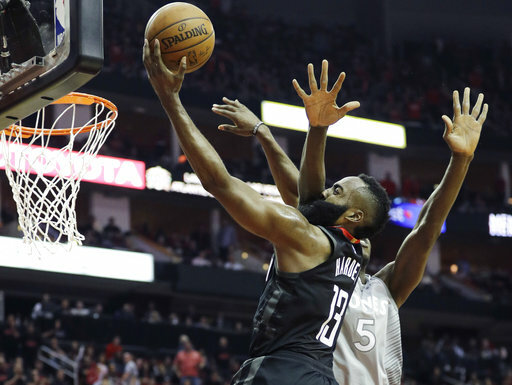 On Sunday night, Harden demonstrated why he is the favorite candidate to win the Most Valuable Player Award this season. Harden showed how unguardable he can be offensively. He displayed every move from his offensive repertoire: off-the-dribble three-pointers, pick and rolls, alley-oop assists, paint penetrations, aesthetic footwork and even dunking. Harden set up the pace for his team. 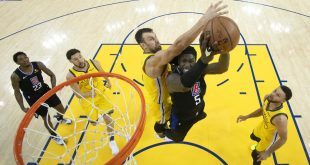 In the fourth quarter, he dropped 13 points while making drives through the paint and challenging rivals on one-on-one situations on the perimeter. The second most important player for the Rockets in this game was Clint Capela. His presence in the paint and hustling on defense was crucial for the team. Capela excelled at putbacks, pick-and-rolls, setting up high screens and reading alley-oops passes. Since Tom Thibodeau became the head coach for Minnesota, he has been characterized for not giving enough minutes to his team’s bench. The workload for the starting lineup, Karl-Anthony Towns, Butler, Andrew Wiggins, Taj Gibson and Jeff Teague, is very big in comparison to the bench’s minutes. Butler, Wiggins and Towns are among the 15 players that have averaged the most amount of minutes during the regular season. Surprisingly, this trend changed in this game (sort of). Jamal Crawford and Rose played more than 20 minutes and were pretty active on the offensive end. 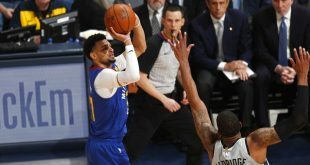 Both players focused on trying to find mismatches in one-on-one situations and challenging rivals while shooting midrange and perimeter jumpers. Their performances helped the team to stay alive in the score. The biggest issue for the Timberwolves was definitely the lack of participation by Towns on offense. Towns only shot nine times during the game. This was pretty damaging to his team considering the fact that Towns can be a very dominant scorer at the low post and that Houston does not have enough players to match his size. This is something that will definitely have to change if Minnesota wants to advance to the next round. Wiggins and Butler’s lack of shooting efficiency also hurt the Timberwolves. Both players struggled at setting up the pace on most of their team’s offensive possessions. They also forced too many shots down the final stretch that let the Rockets get the victory late in the game. The second game of this series will be on Wednesday at 9:30 p.m. ET. Journalism student at the University of Florida. Venezuelan and future sports journalist.